These are your things. They do not belong to me. This evening I must give them back. 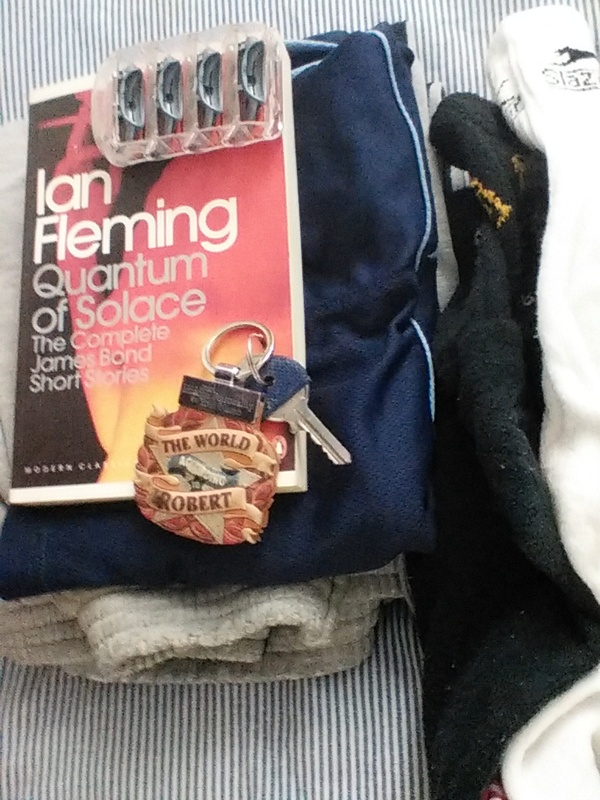 Perhaps you will notice it when you go home, and rummage through the bag of things I have given you. The photos of us may fall out of the pages of the book and you may be reminded of happy times. You may miss me. You may change your mind. You may want me back. Your socks were always more comfortable than my own. Your size 10s keeping my size 4s warm beneath my battered shoes. I’m sorry that I stole your socks. I was going to throw your razorblades in the bin, out of fear that I would use them to cut my arms. But for some reason, I kept them. I know they were very expensive and that you’ll be glad to have them back. I don’t know why I kept them. Maybe because then you would have an excuse to visit me, to come and collect them. Today is pancake day. Shrove Tuesday. Every year we make terrible pancakes. I love you and I miss you. I am excited to see you this evening. I’m going to make your favourite pasta bake. We are going to watch the new series of Jonathan Creek. And maybe you’ll fall asleep in my arms. I won’t sleep though. I will stay awake and savour every second that passes with you next to me. Then I will give you back your things, and you will leave me, and I will be alone, again.